Tyan Cottage is the second of our exclusive holiday cottages, and offers light and airy accommodation which has been thoughtfully restored to retain its character beams and eaves. 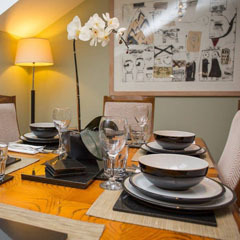 A fabulous three bedroomed, self catering holiday cottage boasting contemporary open plan living and dining areas. 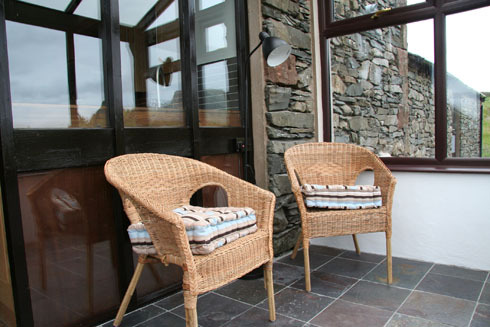 As the upper property within the barn conversion the mountain outlook from this holiday cottage is often quoted as being the best views experienced in the Lake District. This is a lovely property to which the photos simply cannot do justice. We have stayed in many good quality cottage rentals before but the decor, quality furnishings and attention to detail in this property were the best we have come across. 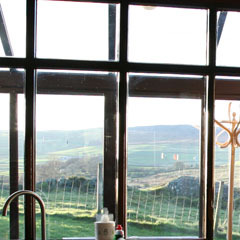 The views are stunning and the location is exceptional you get the feeling of being totally away from it all. 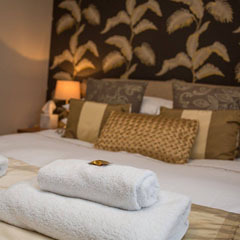 I did have reservations about booking a property which had another attached as we are used to detached properties however it is very private and we would definitely stay again and recommend to friends and family. There are two double bedrooms and one single. 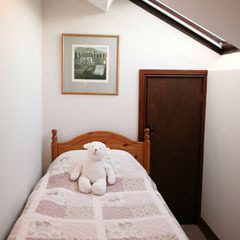 All are individually styled with luxury furnishings and built in wardrobes. Tyan's living space has been carefully restored to retain its character beams, eaves and sloping roof. The contemporary open plan design links the large lounge dining and kitchen areas. 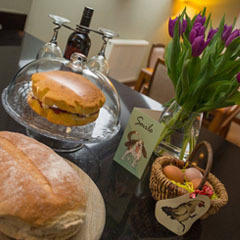 The lounge/diner boasts an extending oak dining table and has deep comfortable leather sofas, tranquil lighting and large double glass doors which open onto the balcony. 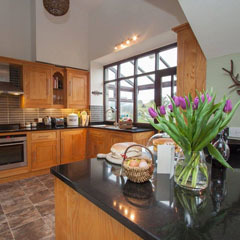 A beautiful bespkoke ash and granite kitchen is fully fitted with dishwasher, electric oven, ceramic hob, microwave, washing machine, fridge and freezer. The double height ceiling and outlook towards the Gawthwaite hills creates a unique airy work space. 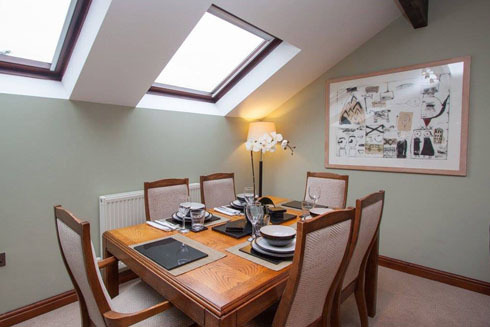 Tyan is accessed by an external stone staircase which leads into the intimate conservatory with stunning views across the Lakeland fells. 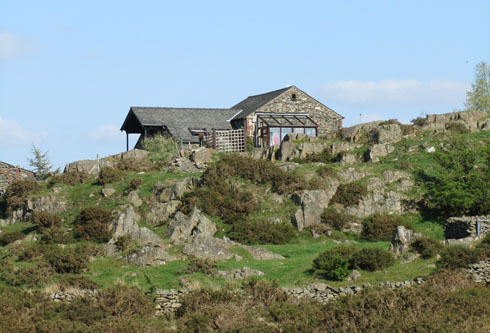 You may prefer to enjoy a sundowner on the balcony which offers breathtaking, uninterrupted views of Dow Crag, Coniston Old Man and Wetherlam. 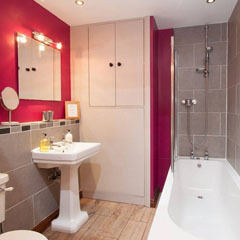 There is a family bathroom with large shower bath, WC, lashings of hot water and heated towel rail. A separate and practical WC with wash basin completes the facilities. Tyan has an adjoining rural garden with garden furniture and BBQ an adjacent stone outbuilding has plenty of room for your 'kit'. 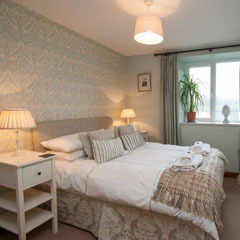 Electricity, central heating and unlimited hot water are included within the price, along with essentials (e.g. dishwasher tablets, cleaning items, toilet rolls etc); Sky television (full package with movies and sports): duvets, pillows, linen and towels. We stayed in Tyan and were greeted with fresh bread, milk, butter, home made cakes (delicious!) and a bottle of wine. The cottage itself was spotless, well equipped and very comfortable. 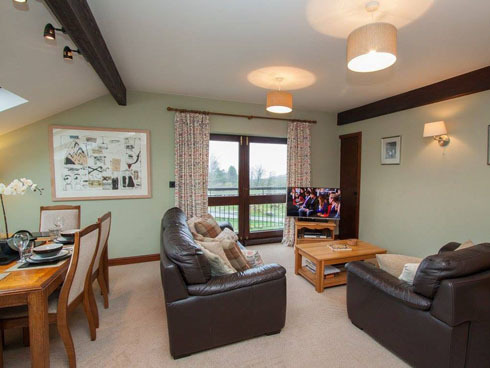 These cottages are in an ideal location to explore the Lake District enabling easy access and then the ability to escape to a little bit of peace and quiet. The views are great and the ability to wander into the wood or into the fields provided loads of space. The children particularly enjoyed climbing the rocks and exploring, plus there is a nice piece of grass outside Tyan to play in and enjoy the scenery. A lovely weekend and would recommend!